Ramdas was joined by Daniel Schensul, technical specialist at the United Nations Population Fund and Kathleen Mogelgaard, independent consultant and former senior advisor at Population Action International (PAI) at the Wilson Center on February 27. The day’s topic: the role of family planning and reproductive health initiatives in climate change adaptation strategies. “[Climate] adaption is absolutely essential… [but] it has not been considered with a perspective that population matters,” Schensul explained. He drew on mapping work by Population Action International to illustrate the collision of population growth, projected declines in agriculture, water stress, and low resilience to climate change in many parts of the world. These links represent a “critical, and in general, forgotten relationship,” he said. “Universal access to reproductive health does represent a win-win opportunity for climate change adaptation,” said Kathleen Mogelgaard. But there is a real need to raise awareness about population dynamics and the existing literature on population issues within climate change circles, she said. Contraception and reproductive health programs produce a triple benefit: many organizations are experienced implementers of these programs, reproductive health services are in demand by women around the world, and they are relatively inexpensive, said Mogelgaard. “To fully meet women’s needs for family planning around the world it would cost an additional $3.6 billion,” she said – a small sum in the world of climate change response. In short, the ways and means exist to use reproductive health programs as a low cost pathway towards increase resilience to environmental and climate related threats. Kavita Ramdas on why educating girls is not enough. Literacy can be enhanced through providing better tools and training, such as CARE’s Climate Vulnerability and Capacity Analysis Handbook, and by making a concerted effort to include integrated population, health, and environment approaches, including family planning, into programs that seek to address climate change threats and impacts. Such approaches are effective models for action on climate change, said Mogelgaard, but, so far, there are few studies in peer-reviewed literature to support them, she said. Unfortunately, even when the opportunity is recognized, it is not necessarily translated into action. Mogelgaard presented analysis by PAI’s Karen Hardee and Clive Mutunga on the UN’s National Adaptation Programs of Action assessments that found of the 41 assessments completed at the time of analysis, 37 countries identified population growth as an issue that exacerbated vulnerability. However, only 6 of these 37 placed reproductive health issues as a top priority for action, only two identified priority projects in this sphere, and neither of these projects has been funded. Kavita described family planning and reproductive rights as a “last taboo.” “There is now no comfortable way for people to talk about the relationships between…access to voluntary family planning, and access to contraception, and the implications for our planet,” she said. According to her, this discomfort makes it difficult for the environmental and population communities to come together. A commitment to family planning and reproductive rights is “a way to achieve our larger goals as a global community around population stability, sustainability, and both economic and environmental development,” said Ramdas. We must be free to ask “how to think about population, development, and women’s rights in the same breath,” she said. 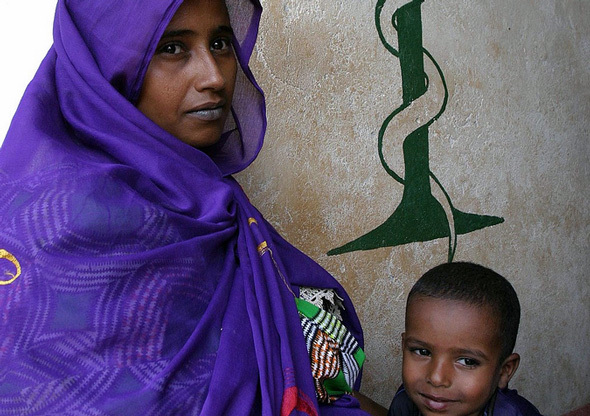 Photo Credit: “Mother and Son at the vaccination campaign in Ndolobo,” courtesy of flickr user hdptcar.